Attend this Friday’s last Garden Talk Salon and get access to the waterfall master that Mary Palmer Dargan turns to. 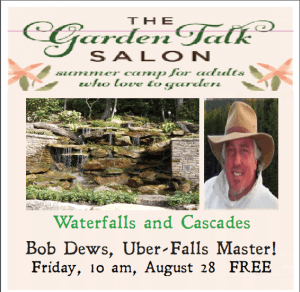 Bob Dews will teach you what is possible with added waterfalls and cascades. He’s worked with the best of the best. Watch below as Mary explains who he is and what this week’s talk is all about. Join us and RSVP by contacting Mary Palmer Dargan 828-743-0307. Dovecote is located at 35 Flash Point Drive, Cashiers, NC 28717. 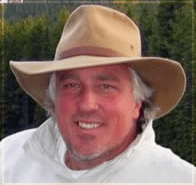 We will be having a reception to celebrate the end to a wonderful summer season.